Income tax return time is coming up and so many of us are already thinking about all of the great things we can buy with the return. It’s been a crazy year personally, politically and professionally and we all can look forward to a treat. But how will you get the most bang for your buck? Will the return be used for a trip to Bora Bora with your special someone? Maybe a shopping spree to treat yourself? How about a fancy dinner with your oldest and dearest friends? Or should you pay back some debt. 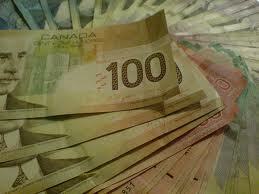 Recently Canadians bow owe an average of $165 per $100 of after tax income. The first three sound better but the later is probably smarter. The average tax return is around $1,700 and that would be a very nice chunk of change to reward yourself with or pay back some debt. What other options are out there? Here are 10 smart ways to spend it in order of importance. Read through the list and decide which one fits your situation. Pay off Credit Card or Department Store Debt: If you have outstanding credit card debt you should pay them off first. You could be paying from 18% to 29% calculated DAILY which means huge savings if you pay them off. Credit cards apply 50% of your payment to new purchases and 50% to old purchases so you have to bring your balance to $0 for the interest to stop. Emergency Fund: If you don’t have an emergency fund this would be a great way to start. Most advisors suggest you have from 3-6 months of expenses in an account but with the employment market being a bit shaky this year I’d advise everyone to keep 6-8 months. You never know how long it will take to get a new job when the market is weak and getting weaker. Contribute to RRSP: You could take your money and make an early contribution for next year. You’ll be ahead of the game and will benefit from any growth on the money depending on what you invest in within your RRSP (ETFs, Funds, Stocks, Bonds, etc.). Plus you’ll get your money back on your next income tax return. Contribute to TFSA: If you think you might need the money but still want to invest for the long term your could invest in a TFSA and have that money grow tax free. Try not to take it out and let it grow. The big benefit to these accounts is letting then grow over a longer period of time and then harvesting the money tax free! Yay tax free money. Contribute to your kids RESP: If you have kids and have taken care of your own retirement and emergency funding then why not put your income tax return into your kids RESP. The government will give you 20% of your contribution up to $500 each year of your kid’s eligibility, which will give you some bang for your buck. There are also additional grants depending on your income level. Charity: If you are a money maven or maverick and have checked all of the boxes above you could start contributing to a charity of your choice. Think of something that you’re passionate about and get out there and support their cause. You might be eligible for an income tax credits if they are a registered charity. Update Bathroom or Kitchen: Real Estate agents always say that a nice kitchen or bathroom will really ad value to your home so why not invest in one or both of those rooms. Update a vanity, appliances, floor, paint, art or put in new hardware and not only make it a more enjoyable room that you visit every day but increase your property value. Something you need: Do you need new brakes, tires, windows, to pay property tax, buy insurance, pay back a loan from bank of mom and dad, or something else that you have been living without? Use the cash and enjoy the joy of crossing it off your list. New Business: Do you have an ah-mazing idea that will blow up the internet? Use the money and build a site or develop a Facebook page to support your idea. Seed money that takes off now could be fantastic income in years to come. You could use the money to do everything from marketing to product development. Better to have tried and failed than to never have tried at all. Family: Do you have a kid in school that could use that money? Do you have partents, siblings or grandparents that would love to go on a trip or go out for a show and fancy dinner. Spoil them and you’ll really be spoiling yourself. Figure out which on this list is your largest priority and use the money smartly.